Apple iPhone 6 is a smartphone with 4.7 inch 750 x 1334 resolution alongside 1 GB RAM and 8-megapixel rear camera.This iPhone 6 comes in 16GB, 64GB & 128GB models. All the hardware and software features makes this phone one of the most innovative and powerful smartphones ever seen. Available in silver and space grey, iPhone 6 Plus features an A8 chip, a Touch ID ﬁngerprint identity sensor, ultra-fast wireless, an 8MP iSight camera and iOS 9. 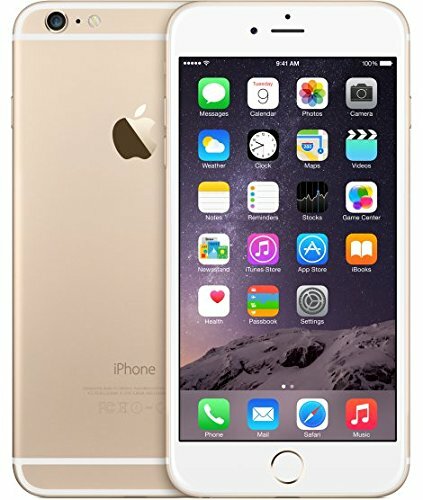 To Recieve updates and possible rewards for Apple iPhone 6 Plus 128 GB (Gold) please sign in. To Recieve updates and possible rewards for Mobile & Smartphone please sign in.